My, do I love a collaboration as beautiful as this?! SEPHORA COLLECTION unveils a stunning assortment of beauty tools and accessories for Holiday 2014 created in collaboration with Alexis Bittar, the renowned, award-winning jewelry designer known for his bold, colorful, and sculptural work. The three limited edition custom pieces in the Alexis Bittar for SEPHORA collection evoke the undulating lines and organic shape of liquid gold, and give a precious, jewel-like effect with 24 karat plated gold, clear Lucite and sparkling Swarovski crystals embellishments. 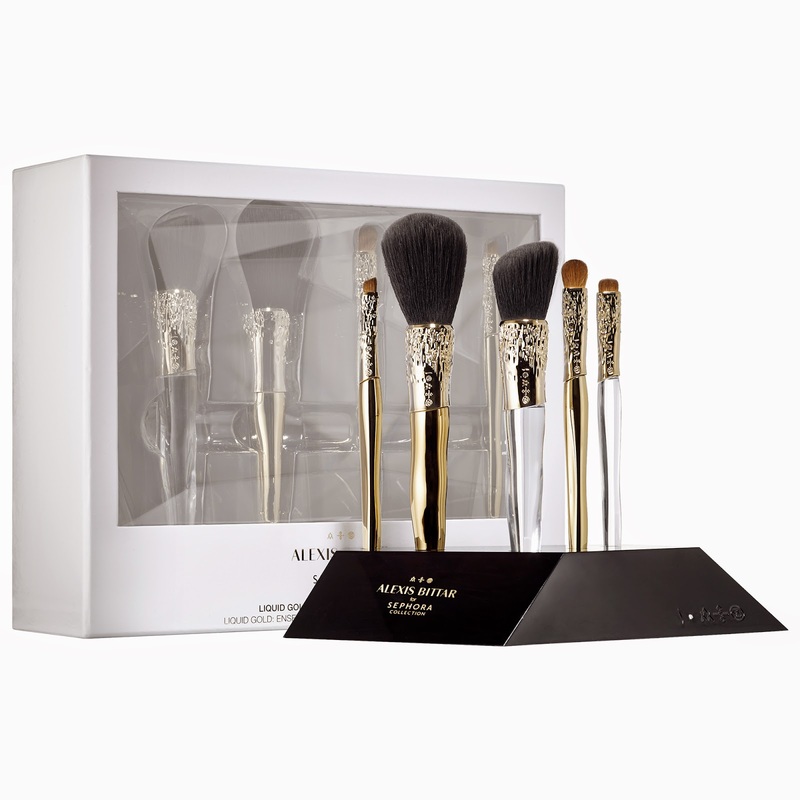 Alexis Bittar for SEPHORA Liquid Gold: Beauty Brush Set and Stand ($175) Experience the ultimate luxury brush set featuring the highest quality synthetic and natural bristles, and embellished handles and ferrules. Each of the five brushes – Powder, Angled Blush, Eye Shadow, Smudge, and Angled Liner – fit snugly into the included metallic black stand, making the complete set a true showpiece that can be enjoyed for a lifetime. Made with Swarovski crystals, Lucite, 24 karat plated gold, and Satine, a revolutionary synthetic hair that creates excellent pickup and luxuriously soft application, this portable brush is perfect for touchups on the go. 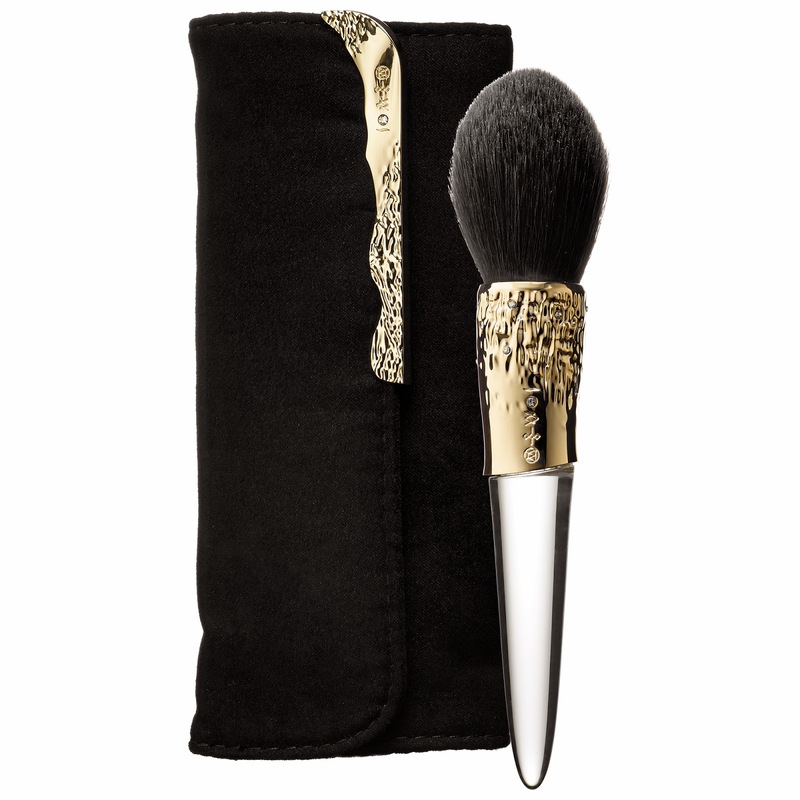 Simply tuck the Pointed Powder brush in the chic suede pouch for flawless application anywhere. 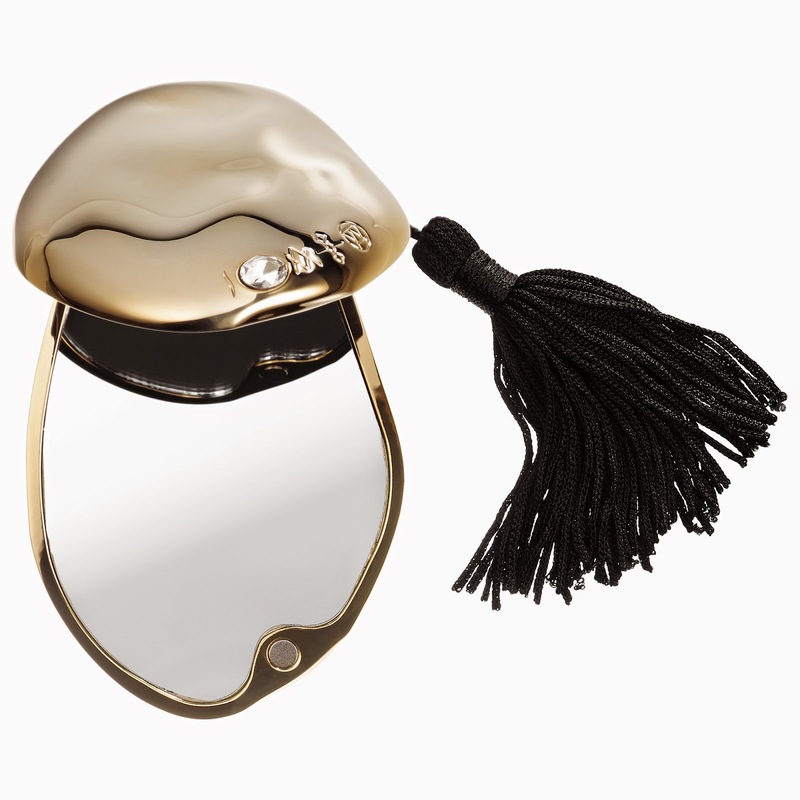 This dual mirror compact is the epitome of luxurious form and function, and is unmistakably Alexis Bittar. The sculptural design fits comfortably in your hand and features both a 1x and 2x magnification. The Alexis Bittar for SEPHORA COLLECTION limited edition pieces will be available for a limited time only during Holiday 2014 in all Sephora stores, as well as by calling 1-877-SEPHORA or logging on to sephora.com via computer or smartphone.